Over the last two years there have been several releases of Biblically based films. While these films are often overly produced and lacking in cinematic elements such as compelling acting, direction, and writing, and while also presenting the stories with needless dramatic license to the Biblical text, I was hopeful when I saw the preview for RISEN. Upon viewing RISEN my hope that this would be a high quality, engaging film was confirmed. This newest Biblically based offering is a compelling, fictional account of Clavius, a Roman officer who pursues war, doing what he must and going where needed, as he works his way up the Roman army ranks in pursuit of, ironically, a peaceful life. 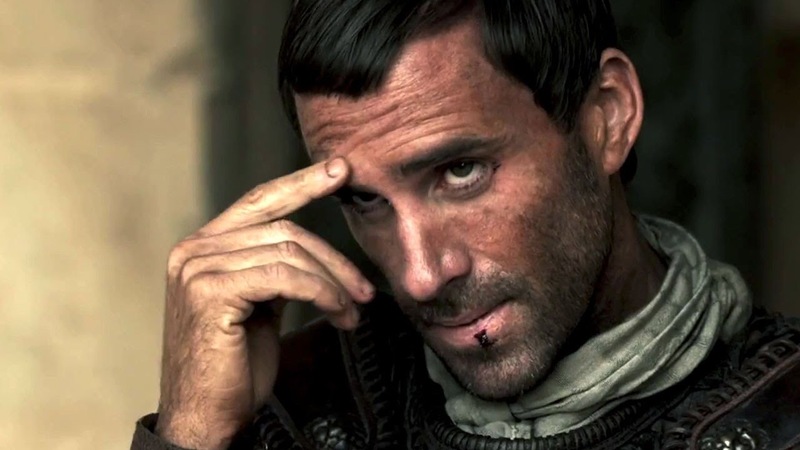 In the film Clavius (Joseph Fiennes) finds himself as a Tribune in the far flung Roman outpost of Jerusalem, serving at the beck and call of the Roman Prefect, Pontias Pilate (Peter Firth). The film begins on Good Friday when, returning to the city after putting down an insurrection, Clavius is ordered by Pilate to see to it that the crucifixion of three men earlier in the day is concluded quickly and quietly. One of the three is a Jewish Messiah who has angered the Jewish Pharasees to the point that they engineered protests and demanded his crucifixion. Pilate relunctently conceded to their demands as he is trying to maintain peace and control prior to a visit by Tiberius Caesar. After attending to the deaths and burial of the three men, Clavius is ordered to ensure the body of the Messiah is not stolen by his followers in an attempt to claim he had been raised from the dead as the Messiah had predicted. After the resurrection, and disappearance of the the body, Clavius is ordered to find the stolen body. The majority of the film follows the contemplative Tribune’s hunting down the Messiah’s followers in order to find a body that can prove the Messiah’s claims were false. During this portion, the film interestingly resembles a first century presentation of the film The Fugitive as witnesses are tracked down, detained and interviewed. As in the modern crime drama the investigator cares not about guilt or innocence, but only that the remains of the suspect, or even a suspect, are found. The closer Clavius gets to the Messiah, through interviews with followers including a disciple and Mary of Magdala, the more unsettled he becomes. These followers have a peace about them that he, as a brutal tool of the oppressive power that is Rome, has never experienced. Usually, suspects and subjects of Rome wilt or melt in his presence, or at least attempt to fight back. These suspects however are ready to receive whatever may come. They have embraced, or been embraced by a power that is even greater than that of the greatest earthly power in the history of the World. These lowly, irrelevant, desposable subjects have received freely what Clavius is seeking and sacrificing himself for, contentment that comes from true peace. In his pursuit of the remains of the Messiah, Clavius remains determined, but his purpose changes as he gets closer to that which he pursues. As the film depicts someone pursuing faith from a place of disbelief RISEN is the rare faith based film that can appeal to persons of faith as well as those who may have interest, questions, or doubts about faith and Christ. RISEN is true to the presentation of finding or embracing faith and discipleship in Christ that is often overlooked in faith based films, as well as teaching within churches. To truly embrace faith in Christ, one must let go of those things one has placed their faith in. For Clavius this was his entire life, his pagan spiritual beliefs, his life goals, as well as the power, protection and purpose of Rome. Joseph Fiennes offers a remarkably subtle performance as the powerfully brutal, yet uniquely reflective instrument of earthly power. While there are some overly dramatic moments and a non-canonical presentation of Mary Magdalene, overall the script, Kevin Reynolds’s direction, and other cinematic elements are refreshingly understated for a faith based film. The presentation of Yeshua (Cliff Curtis) is effectively intimate and reflective of his humanity, as opposed to the frequent, more distant, divine dominant presentations. As with almost every presentation of Jesus there is a conflation of the gospel accounts of his life and teaching. While this tact usually detracts from the teaching and purpose of the Gospels, such is not as noticeable in RISEN as the focus of the film is on the life journey of Clavius, his questioning and experiencing Christ, and just as importantly, his accepting redemption and transformation through Christ. Risen is a film that speaks to the contrast of powers between humanity and God, the need and source of true peace, and the change one must be willing to accept in order to be a disciple and receive God’s redemptive grace. 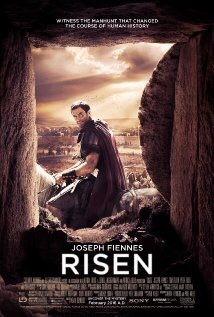 RISEN is one of the most financially successful faith based films grossing over $17 million in North America it’s first week. This entry was posted in Faith Shots, Film Shots and tagged Affirm Films, faith and film, Gospels, jesus, Joesph Fiennes, Kevin Reynolds, LD Entertainment, Mickey Liddell, Patrick Aiello, Pete Shilaimon, redemption, RISEN, transformation. Bookmark the permalink.